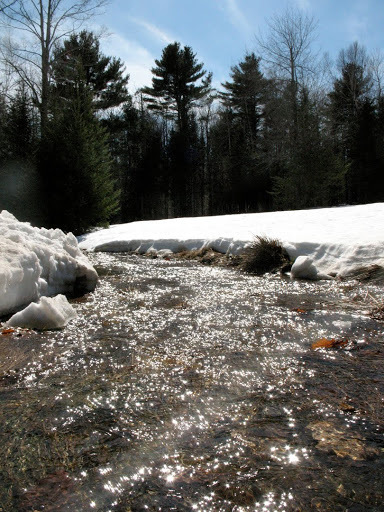 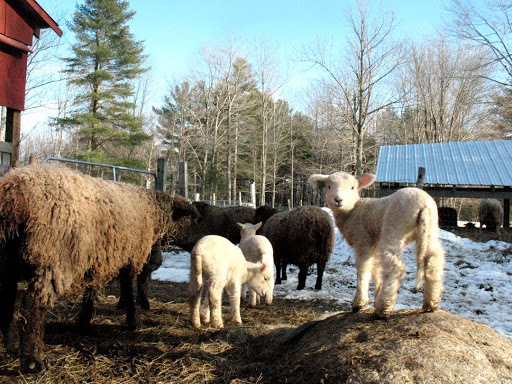 Well everybody in the state of Maine thought spring had arrived a few days before the official date – temperatures in the low 60s, bright sunshine, snow melting…then of course it snowed the very next day. 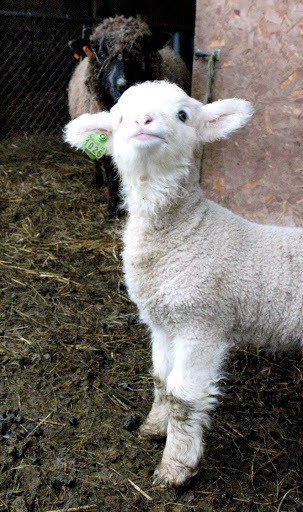 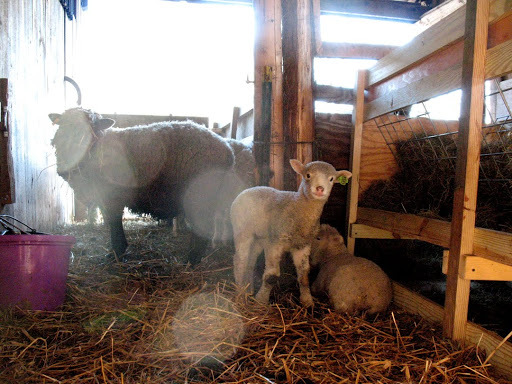 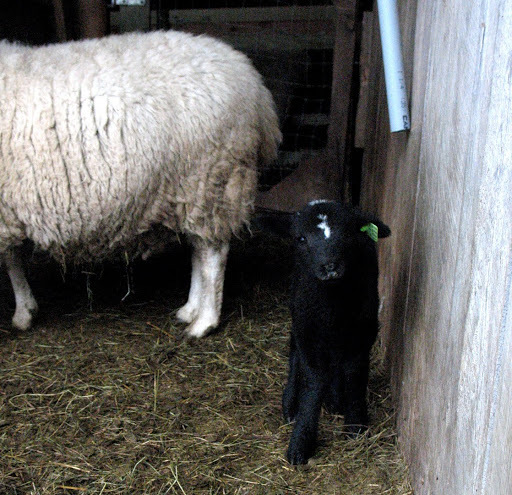 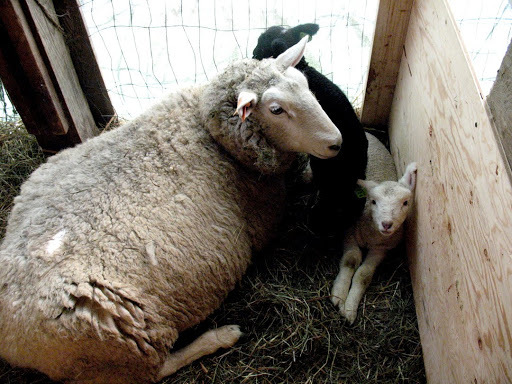 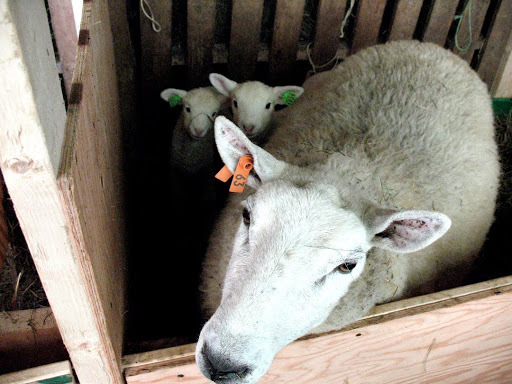 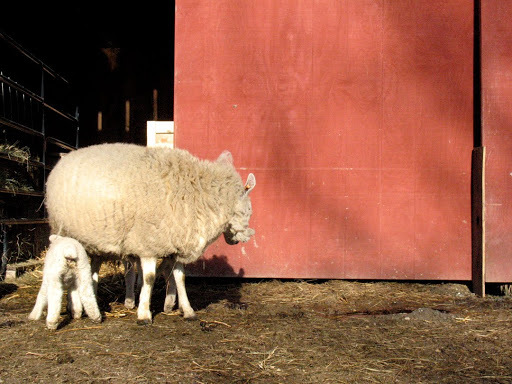 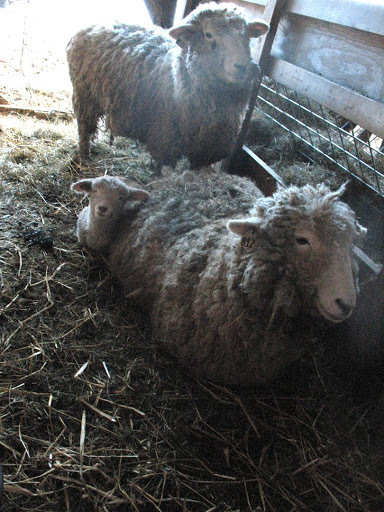 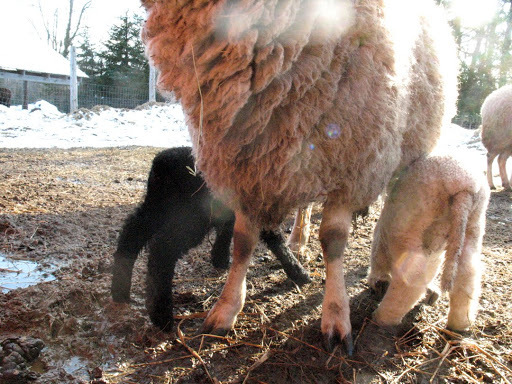 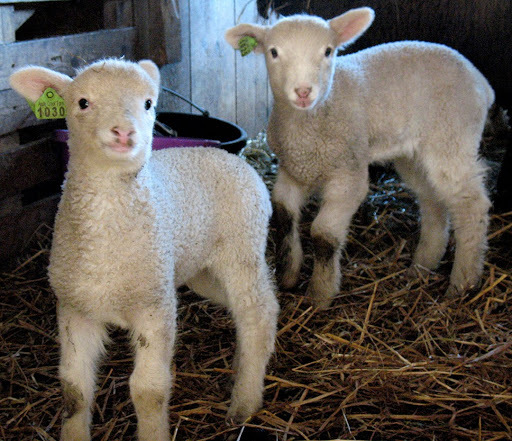 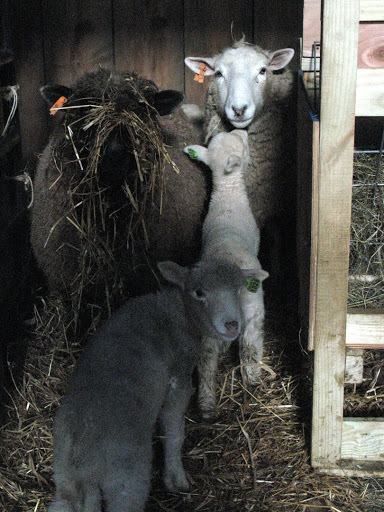 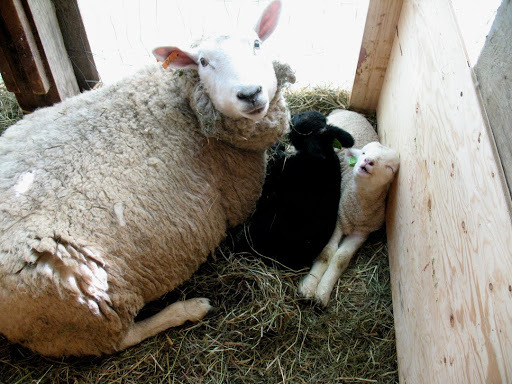 Here are some shots from that beautiful day and all the new lambs! 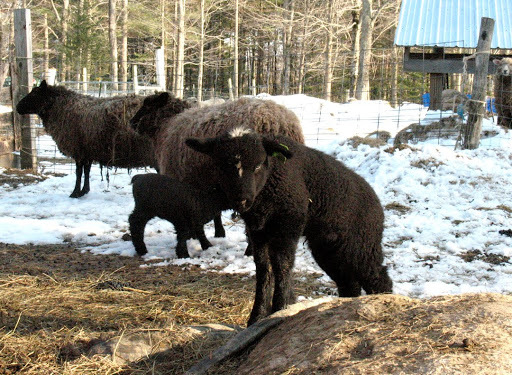 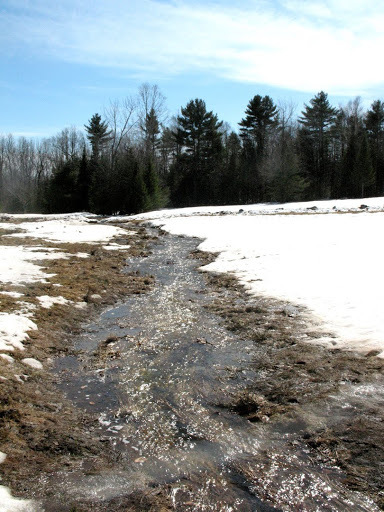 This was our winter project and is now our summer project and future pasture.